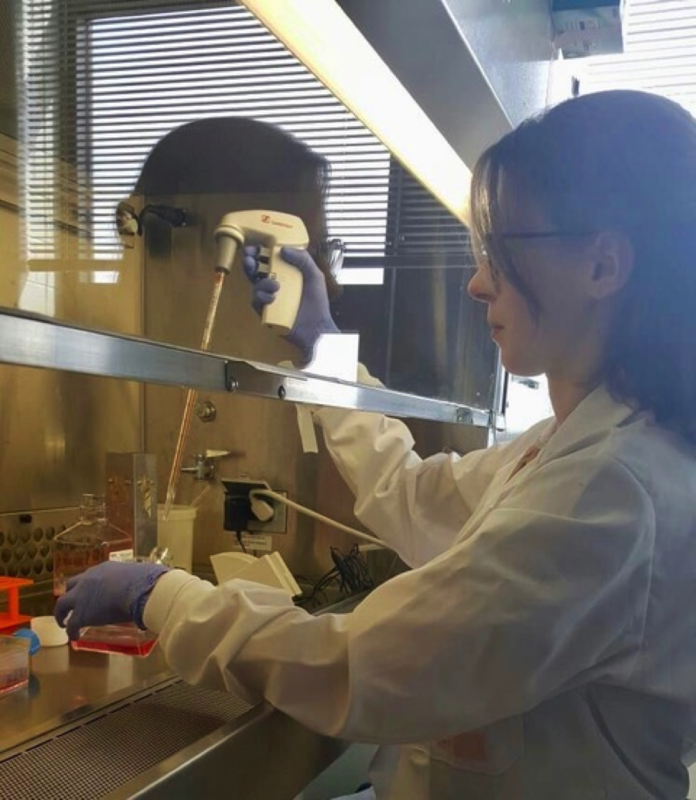 The word “creativity” may not be traditionally associated with scientific research, but for Elisa D’Arcangelo, it sums up some of the aspects she most values about being a biomedical engineer. As a tissue engineer, she must come up with creative solutions for growing tissue in the lab that can help shape new therapies for cancer and other diseases. Traditionally, tissue engineering efforts have been geared toward growing healthy tissues for organ replacement. Now, it’s being used in novel ways to de-risk the process of drug discovery. “Tissue engineering is contributing to the identification of cancer therapeutic agents by devising procedures and devices for growing cancer tissue in controlled lab conditions,” D’Arcangelo explains. After completing her Ph.D., D’Arcangelo plans to pursue postdoctoral research while also exploring positions outside academia. “I enjoy having independence and creative license as a researcher and hope to work on projects that have a clear path to translation or are clinically motivated,” she says.